Adapter PCBs which can be used on LYNX modules with SubD connections allowing the direct connection of cables using the terminal blocks provided. 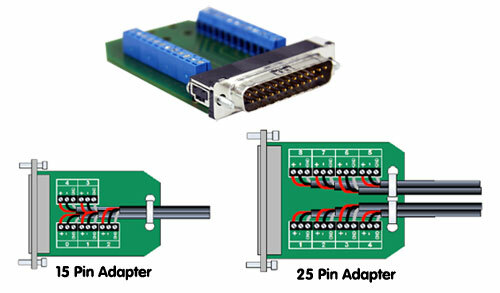 A convenient alternative to manually soldering SubD connectors or using one of the available adapter cables. Intended for use with Series 5000 modules in a permanent system environment. 2 versions are provided, RBO 5025 for 25 pin SubD connections and RBO 5015 for 15 Pin Sub D connections.